July 4 is a glorious American celebration. Unfortunately, it’s also by far the day of the year that produces the most US fires. Fireworks account for two out of five of those fires—an average of 19,700 fires every year. Apart from fires they may start, fireworks themselves can cause serious injuries: between 8,500 and 9,800 injuries annually. 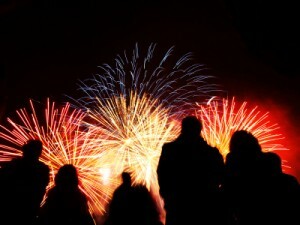 The Alliance to Stop Consumer Fireworks, a group of health and safety organizations coordinated by the National Fire Protection Association (NFPA), urges the public to avoid the use of consumer fireworks and instead, to enjoy displays of fireworks conducted by trained professionals. ← Who Needs Injury Prevention Education? Everyone!